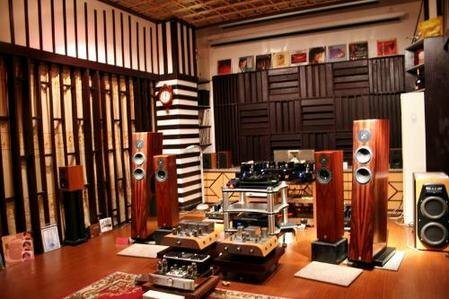 An audiophile, from Latin audio "I hear" and Greek philos "loving," is a hobbyist who seeks high-quality audio reproduction via the use of non-mass-produced high-end audio electronics. Some audiophiles try to listen to music at a quality level that is as close to the original performance as possible using high-fidelity components. Others try to recreate a particular sound belonging to a piece of equipment that is old or no longer current, such as the sound created by tube amplifiers. Audiophile values may be applied at all stages of music reproduction: the initial audio recording, the production process, and the playback, which is usually in a home setting.